December Issue (2018-3) of our journal has been published. December issue (2018-3) of Erzincan University Journal of Education Faculty published three times a year by Erzincan Binali Yıldırım University Education Faculty has been published. We would like to thank our authors, editors and referees who contributed. August Issue (2018-2) of our journal has been published. 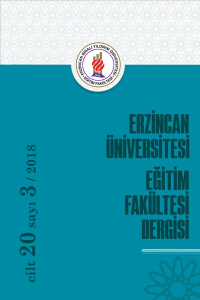 August issue (2018-2) of Erzincan University Journal of Education Faculty published three times a year by Erzincan Binali Yıldırım University Education Faculty has been published. The authors are also supposed to upload the reports taken from the similarity programs such as Turnitin and iThenticate while submitting the manuscripts to the system.